The marathon held at the highest altitude on Earth will begin at 5.850 metres, that is 532 metreshigher than the marathon on Mt. Everest. The route of the run will cover Kilimanjaro National Park, and to begin the marathon, at first competitors will have to reach the highest mountain in Africa. Kilimanjaro Extreme Marathon, which will be held in December this year, is the first successful attempt to organize an official, international run on Kilimanjaro. The initiator and organiser of the event is a Pole, Michał Gawron. The run will begin at the Kilimanjaro UhuruPeak summit, at the altitude of 5.850 metres. Until now, a marathon beginning in the highest place on Earth was Tenzing Hillary Everest Marathon with the starting line at the altitude of 5.363metres. Thus, the run from Kilimanjaro not only has the chance to take the title of the highest marathon on Earth away from it, but also officially apply for the first place in „Guinness World Records” in this category. – This will be the first attempt to organize a marathon in Kilimanjaro National Park, which was until now unavailable for extreme runs – says Michał Gawron, organiser and initiator of the run. – In order to organise the event we had to get in touch with the local partner, guide and organiser of trekkings on Kilimanjaro, because this is what Tanzanian law required. The management of Kilimanjaro National Park and Tanzania National Parks Authority had to issue a consent for organisation of the run. It required unbelievable patience and persistence. For almost 2 years I was forcing my way through the maze of regulations and any possible complications related to obtaining the Park’s consent. I wouldn’t have made it without help of my Tanzanian partner, Hamadi Go. – he adds. The event covers not only the run, but also a five-day trekking to the CraterCamp located at the altitude of 5.730 metres–the last camp before the marathon. Reaching this place requires an additional, special consent. The camp itself is considered to be one of the most beautiful places on Earth for high mountain camping. Who can run in the marathon beginning the highest on Earth? Enthusiasts looking for extreme experiences and collectors of marathons in the most peculiar recesses of the Earth. One of them is Piotr Hercog, Polish ultramarathon runner, organiser of Supermaraton Gór Stołowych and Dolnośląski Festiwal Biegów Górskich, the winner of, inter alia, BaikalIce Marathon 2016, Lenin Sky Race 2016, International Elbrus Race 2016 or this year’s 100 miles long Ultra Fiord Patagonia. –This is a very interesting event. Although currently there are many runs, this will be the special one. Not only because it is organized by a Pole, but also because it is held in one of the most beautiful places on Earth. What matters for me is the high mountain aspect, because such challenges are what I’ve been interested in recently. This is why I also intend to participate in the run. I’m going to prepare properly to this run. Apart from the classic running training, of course it is necessary to carry out high mountain training. Unfortunately, I’ll go to Africa only 10 days before the start. Usually acclimatisation should last at least three weeks, however, I’m not able to spend so much time there, because I have other commitments. Nevertheless, in order for my body to get used to the climate, in November I’m going to spend a little bit of time in the Alps, at 3 – 4 thousand metres, as well as prepare by means ofsleeping in an altitude tent, as well as using a special Hypoint chamber in Cracow – says Piotr Hercog. The exhaustive trekking at the altitude of 5.800 metres and the night in the CraterCamp at temperature which might drop to minus 25 degrees, and then 42 kilometres long run at the altitude of 5.895 metres, where there is much less air than in the lowlands, will prove to be a challenge for participants. – I have taken up many challenges in my career. One of the toughest ones was Elbrus, but also this year’s run in Patagonia or the run under Mt. Everest. What gave me the hard time on Baikal was the low temperature. There is always some element which forces me to face my own weaknesses. One must approach runs such as Kilimanjaro Extreme Marathon very seriously. Such altitude is not to be trifled with. Steady walking at such altitude is something different than running. At the last stage of preparations one must skillfully combine general physical performance with good acclimatisation. However… challenges are meant to be faced with – says Piotr Hercog. Organiser of the event pays attention to the fact that one of the greatest dangers awaiting the runners is altitude sickness. However, it doesn’t diminish his optimistic attitude towards the whole event. –I look at it as a crazy idea which gives an opportunity to gather even bigger group of crazy people. Everyone said it was impossible and many had tried unsuccessfully. Those who know me are aware of the fact that it is enough to tell me that something is impossible, and then I attempt to do that right away. – he says. 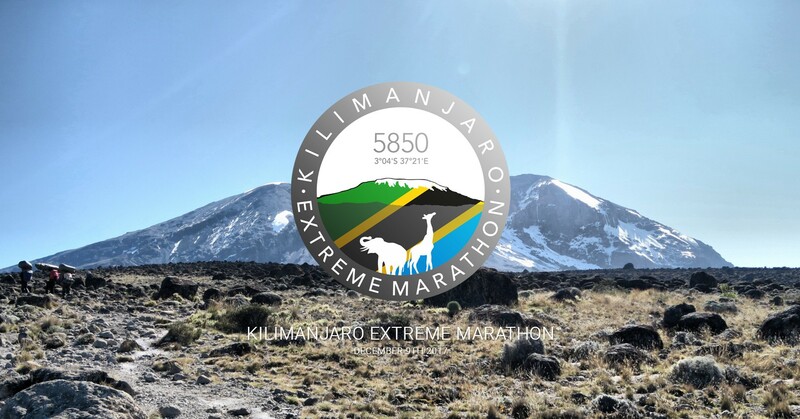 Pioneering edition of Kilimanjaro Extreme Marathon will take place in December this year. Michał Gawron – organiser of the event, sailor and runner.